Cape Town – Government sorely needs a top-to-bottom check-up on its procurement of goods and services, Finance Minister Nhlanhla Nene told Parliament on Tuesday. Tabling his budget vote, Nene said economic recovery and further confidence depended on the state's ability to function more efficiently. Audit outcomes of state departments and entities – procuring billions each in goods and services – have suffered immensely due to financial mismanagement and weak governance, he added. Further, he said, auditing firms have been linked to scandals involving various state entities, including the South African Revenue Service. "We must strengthen economic resilience and pursue financial reforms aimed at reforming the health of our entities. "We must restore the confidence that these exist to serve the people of South Africa and that they do so with confidence and transparency." 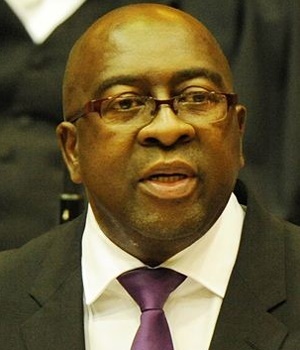 Nene said National Treasury was encouraged by the improved financial outlook of the South African economy, which was apparent going into the next financial year. "[The] budget deficit of 2017-18 is expected to be marginally narrower. Lower spending outcomes means our spending ceiling has not been breached. We remain committed to our commitments in February," he said. The Presidential Infrastructure Coordinating Committee would establish a budget facility for infrastructure to improve the planning and management for major infrastructure projects, he added. A total of R6bn had been set aside in February's main budget for water and drought relief projects. Investigation of state capture remained a priority, Nene said. "We continue to support the commission of inquiry into state capture to get to the bottom of the plunder of state resources, in a bid to restore confidence in our financial management." He told MPs government had progressively been tightening the screws on state employees owning businesses that provided services to the state. While this had to be declared in the past, it would now be banned outright. "Government procurement stood at R900bn in 2017. The electronic database has closed in on employees doing business with the state. We urge departments and entities to look into this and ensure that disclosures are adhered to," said Nene. He said the Office of the Chief Procurement Officer would continue to modernise state procurement and reduce the cost of doing business with the state for suppliers and firms. "Strategic procurement framework(s) will be rolled out that will allow for differentiated procurement for items and to ensure that suppliers are paid with the 30-day minimum period and the 60-day maximum period," he said. Nene said state-owned enterprises had an impact on perceived sustainability of debt in the fiscus and the cost structure of the economy, as well its competitiveness. "We will lead interventions in the initiatives to improve the management of state-owned entities and stabilise the financial positions of South African Airways (SAA) and Eskom as well, and minimise government’s exposure to these entities," he said. Regarding the scandal of KPMG and Nkonki, as well as other firms that signed up as partner auditors for the Auditor General, Nene said changes to legislation would allow the Independent Regulatory Board of Auditors to be more robust in holding auditors to account. KPMG came under intense scrutiny for the role it played in the so-called "rogue unit" report for SARS. Nkonki faced voluntary liquidation as a result of its inability to account before the office of the Auditor General over its links to the Gupta family. "Collusion between auditees has cast a bad light on auditors and tarnished the reputation of the profession. "Amendments to the bills include aligning regulation to international best practice and ensuring expeditious resolutions to inquiries into the sector," he said.